Rockabilly hair is a gold standard of the 1950s popular hairstyles. Want to know how to pull it off? Go ahead to our guide enriched with a plethora of examples. 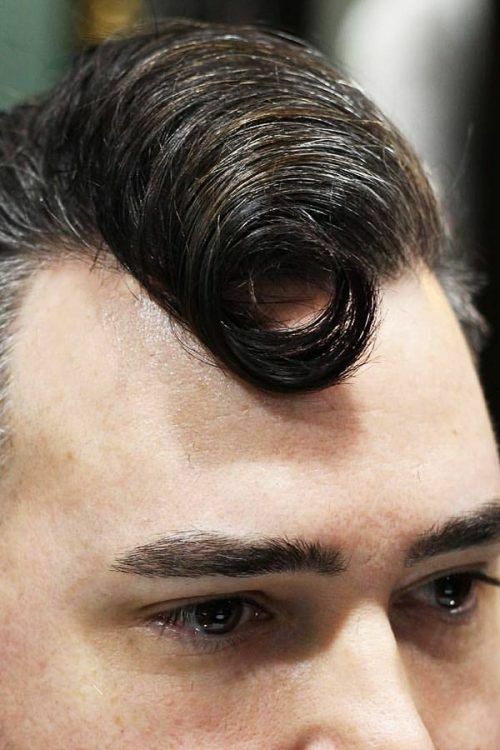 The rockabilly hair is one of the popular classic ‘dos that successfully have lived until today. 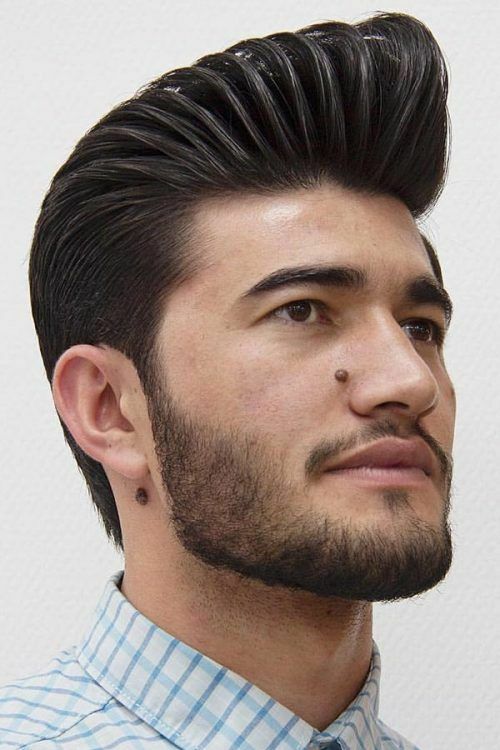 Although this 1950s hairstyle was mostly donned by the rockabilly music fans, today it only means that you’re a fashionable guy who knows a good cut. Follow our guide for more details on how to pull off a rockabilly hairstyle and choose the one you like most. A rockabilly hair style has been on a roll since the early 1950s. It got its name from the music style that combines rock and hillbilly. The artists who performed in this genre sported a very specific high and greasy hairstyle, which, of course, was extremely popular with the army of their fans. Thus, the term “a rockabilly hairstyle,” or simply “a rockabilly,” was introduced to the world of tonsorial fashion. 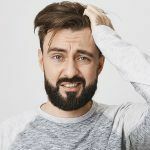 To find out more about this timeless ‘do and get some ideas on styling, we’ve prepared a concise rundown on a rockabilly hairstyle. Get a suitable haircut. An undercut long hair works best for this style. Wash and towel dry your hair until it’s damp. 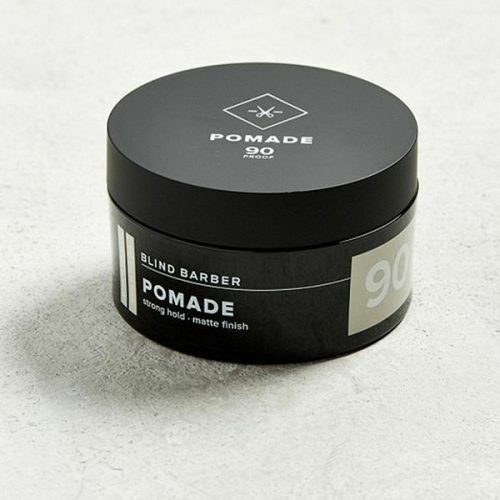 Apply a generous amount of wax or pomade on your locks. Work in the product moving from back to front. Style your hair with a comb. Shape a voluminous wedge by combing the hair up and back. Spritz your hair with hairspray for a finishing touch. If you’ve decided to try on one of the trendiest 50s hairstyles and opted for rockabilly hairstyles, here are some best options to go for. 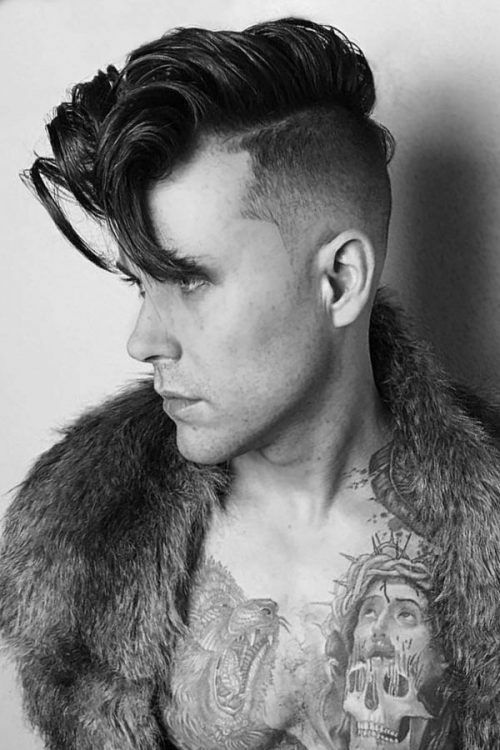 When you have your long hair undercut, it allows you multiple rockabilly styling options. Shape your wedge in an unusual way by combing it to the side instead of back. For added definition, get a hard part on the opposite side. 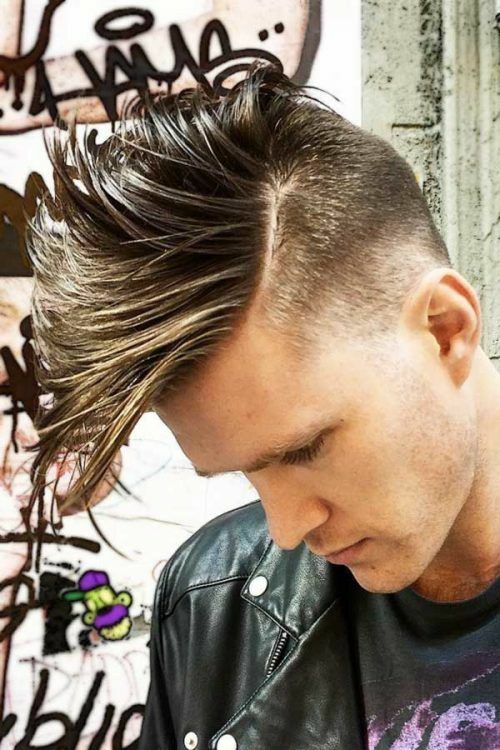 If you head for more elegant and neat rockabilly style, slick all your top hair back. 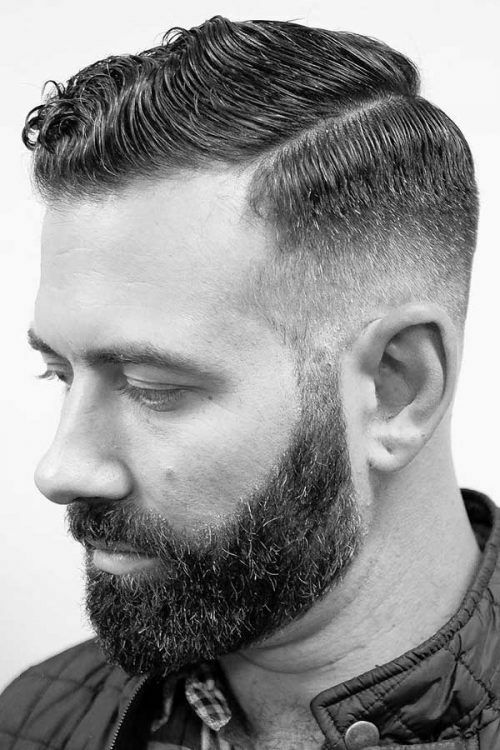 To accentuate your rockabilly haircut, pair it with a mid skin fade and add a shaved-in line. Apart from rockabilly, there’s another staple of the trendiest 50’s hairstyles, which is pinup hair. If you can’t decide which one to go for, mix them together. In this way, you’ll get a voluminous pomp that gradually fades toward your back. Comb it through with a wide-tooth comb for a defined appearance. 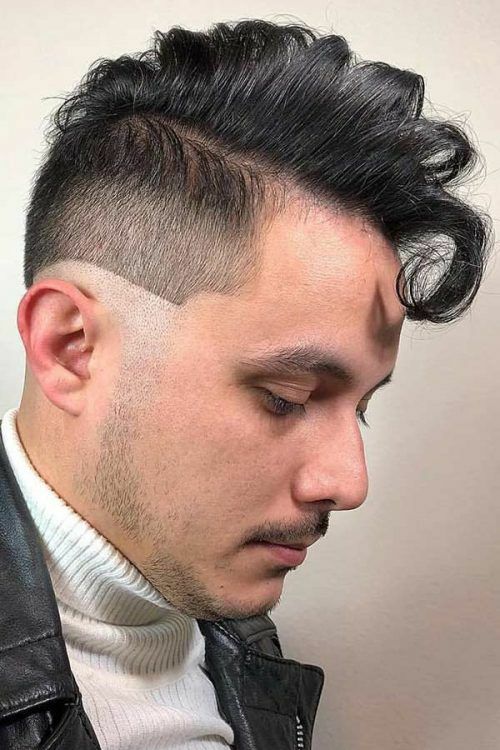 If you want to go easy on your fauxhawk and give it a more dapper touch, a rockabilly men fauxhawk is a nice solution in this case. 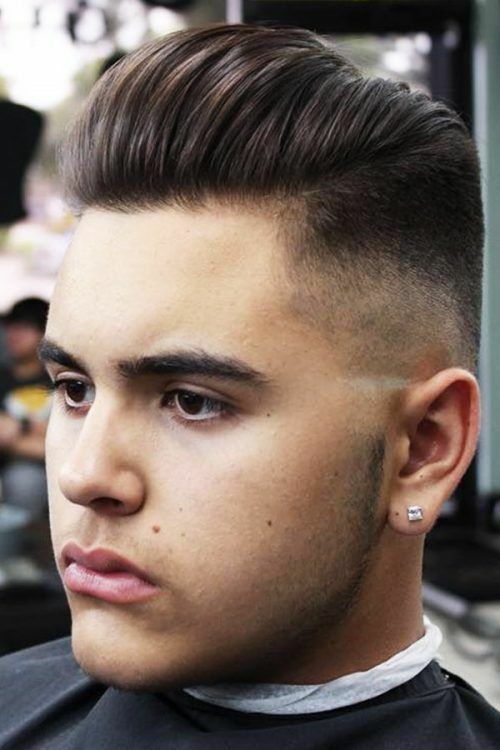 The sides can be faded while the hair on top should form a swirl. This hairstyle is made for really fashion-savvy men. A rockabilly hairstyle roll looks unusual yet classy. Go for it if you dare! 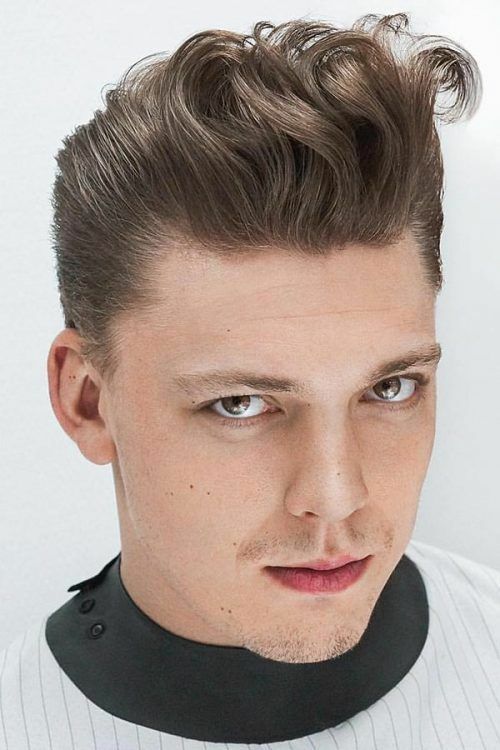 A messy pompadour is a modern take on the popular 50’s hair style. To create it, you want to refrain from combing your hair and rake it with your fingers instead. 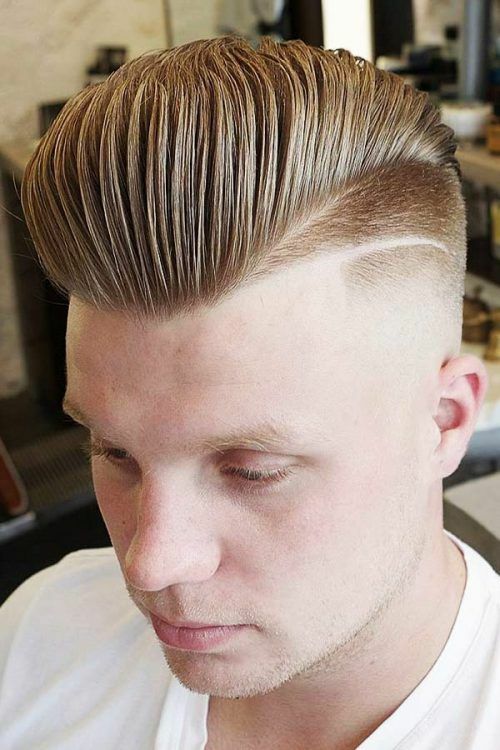 Another variation on the epochal fifties hairstyles is a sectioned top paired with an undercut fade. Don’t do it too sleek, a couple of stacked strands give this hairstyle a charming flair. Take a shower and dry your hair with a towel. Scoop a plentiful amount of a hair styling product and rub between your hands. Work the product into your hair starting from the back. Comb all the hair back with a fine-tooth comb to spread the product more evenly. Divide your hair with a side part. Comb the hair on top back so that it falls into the same area and blends into the hair on the back. 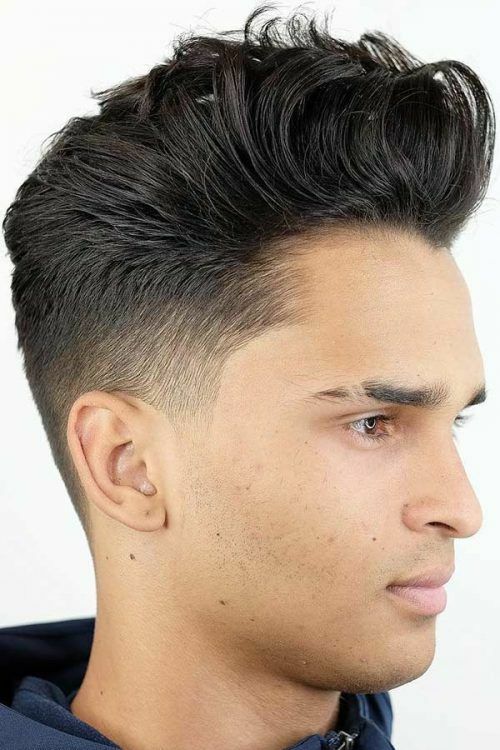 Whether you are in a mood for some other variations on the greaser style, be it a curly pompadour or slicked-back hair, here are some ideas for you to try. One of the most dapper greaser hairstyles is a greaser comb-over. 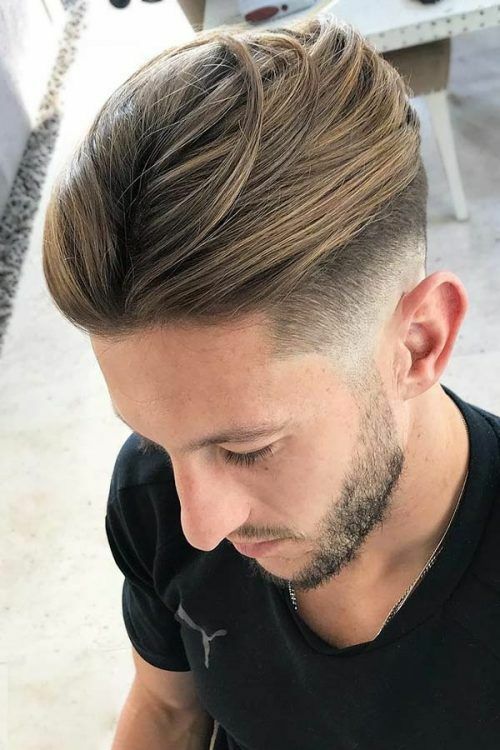 You can give this hairstyle a unique touch by getting a low undercut with a fade above it. 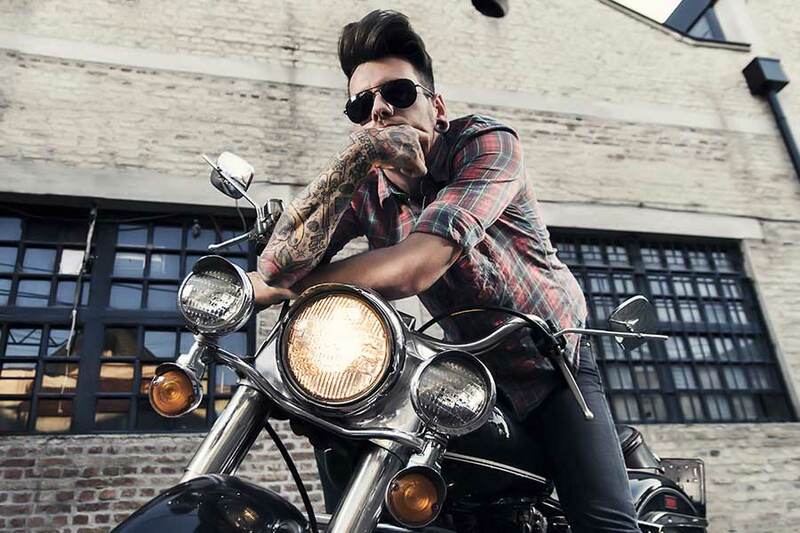 If you think of an original greaser hairstyle, your go-to option will be slick back hair. 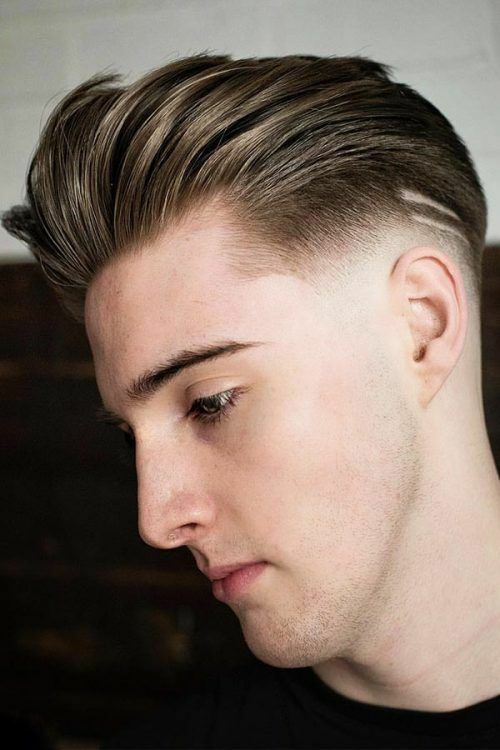 For a modern turn, you can go with a high skin fade and a shaved in design on the sides. 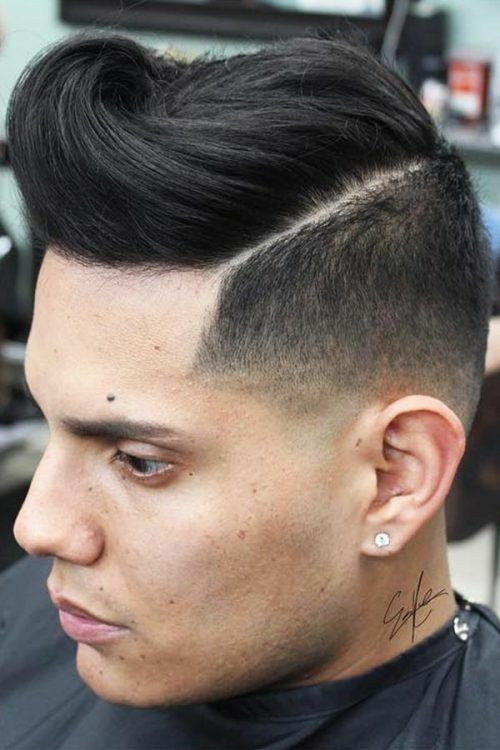 A taper fade haircut is a great embellishment to basically any hairstyle, and a greaser haircut is no exception. 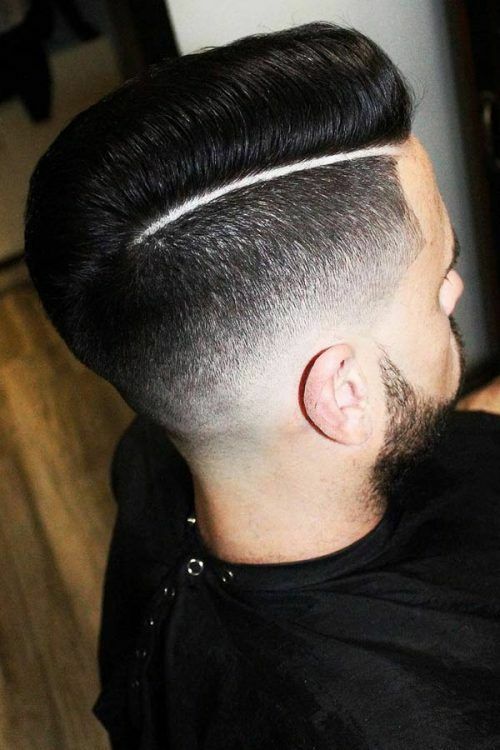 The type of a taper fade is totally up to you. As for the top, you can grace your head with a low key pomp. 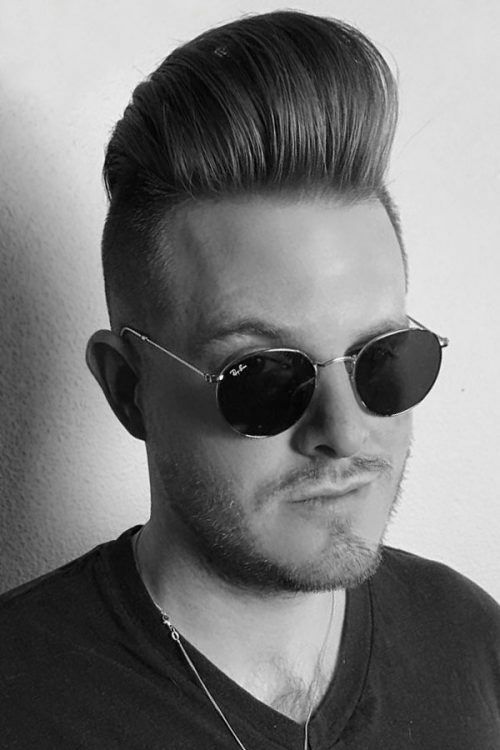 When side parted, a greaser rockabilly short hair gains a new definition. It pairs beautifully with a mid taper fade on the sides and back. Even if you’re not planning on visiting a music concert in the nearest future, this pin up hair style is surely worth a try. 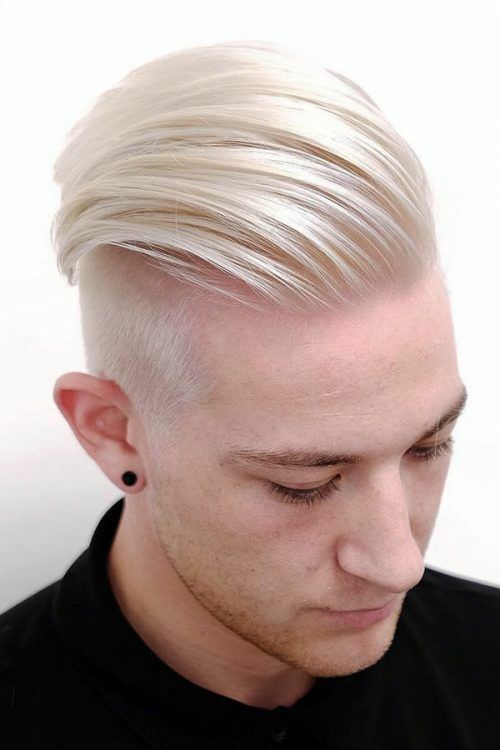 Note though that it’s exceptionally flattering for blonde hair men. 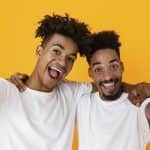 To customize your very own look, you can even put together a couple of trendy hairstyles, such as a hard part, a mid skin fade and a pompadour. Ensure to use a sufficient amount of a styling product though to pay tribute to the greaser hair style. Believe it or not, but spiky hair can be also considered a greaser. 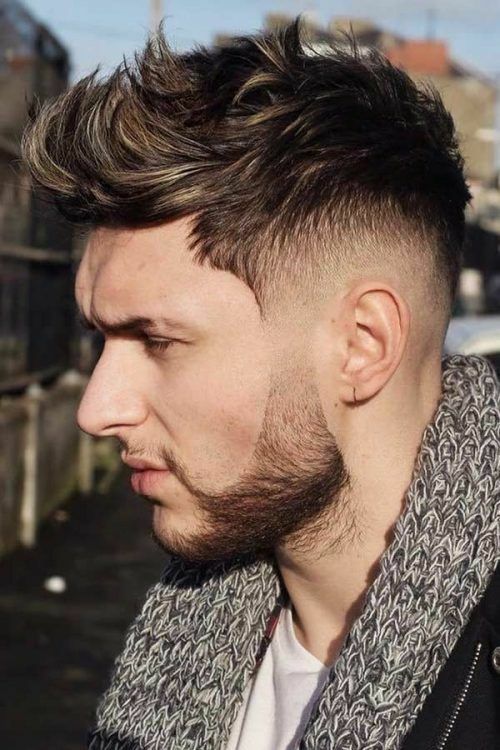 Just add a taper fade to the sides and apply enough of a styling product, and your spiked hair will breathe in a new life into the 50s hairstyle. For a strong hold and a matte finish, choose a pomade. The Blind Barber 90 Proof Pomade would work perfectly in this case. Besides, it’s long-lasting and smells amazing. 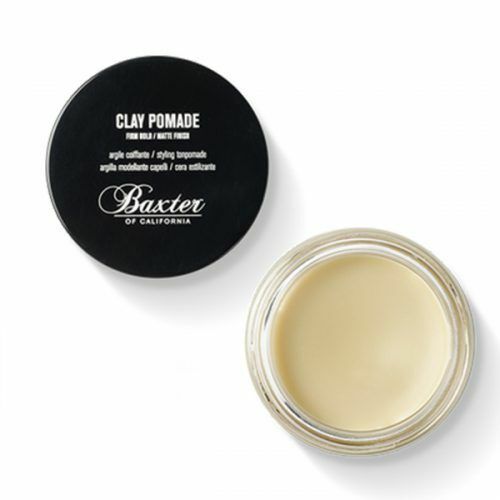 If you’re more into a product with natural ingredients, opt for Baxter of California Clay Pomade. 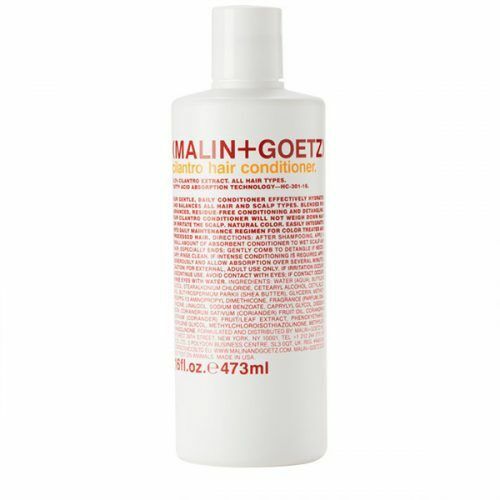 To soften and moisturize your hair, turn to a hair conditioner, such as Malin + Goetz Cilantro Conditioner. You can, actually, use it in multiple ways: as a rinse or leave in conditioner, as a cleanser or as a styling product. If the pomade doesn’t give you the expected hold, enhance it with hairspray. TIGI Bed Hard Head Extra Strong Hold Hair Spray is the one to go with. Almost no greaser is possible without a good comb. 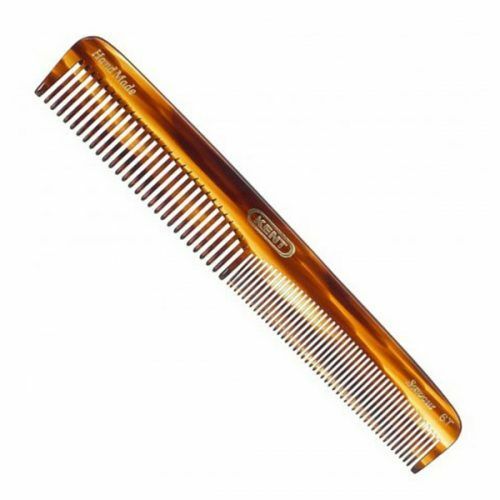 Kent 9T Handmade Comb will give you everything you need. It’s double-sided with fine and coarse teeth, which makes it highly practical. We mentioned styling products a lot though we didn’t say what works for shaping your greaser best. There are, actually, several products you can choose from depending on the purpose and the desired effect. Also, you’ll need a couple of tools. 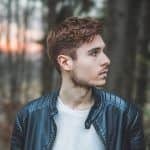 As the best grease and rockabilly hairstyles are created from damp hair, you’ll need something that’ll help you achieve this condition as fast as possible. 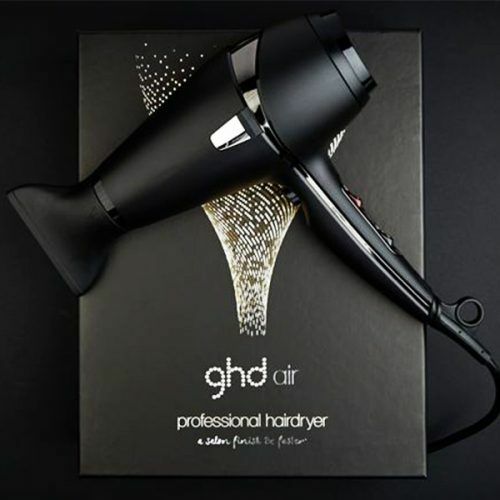 Ghd Air Dryer gives you the professional styling in a blink of an eye. As you can guess, there are plenty of ways to sport rockabilly hair. You can play around with styling and the cut. The key to success is to have the right products, tools and attitude, and to follow our guide, of course.